Which wheels give the car it’s greatest speed over 20m? What panel angle generates the most energy? At 9:30am the competition commenced. 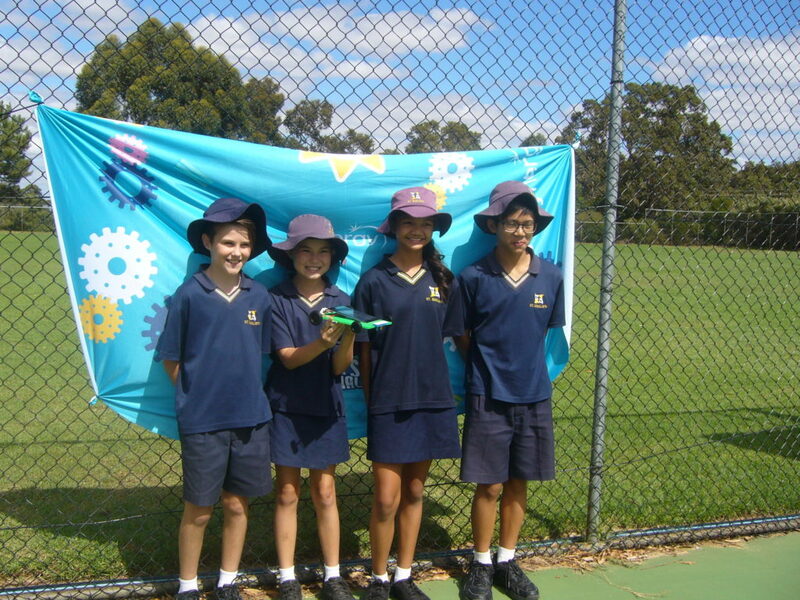 The students had 80 minutes to build a solar car from scratch and test it out. There was a ‘hum’ of enthusiastic and engaged Year 6 and 8 scientists at work in the hall at Mazenod College. 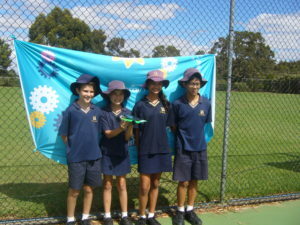 The goal of the competition was to race the car along a 20m track made out of corflute board. One student set their car at the start line and at the finish line another student had to ‘catch’ the car so that the car didn’t crash into the sand bags. Mrs Cogger would like to add her own comments about the day. The students were a delight to take to the competition. They used their problem solving skills and faced all the challenges with a positive attitude. They were polite and extremely well -behaved. The students were happy to celebrate the success of the other competitors. And to top it off we came 3rd. Congratulations to Josh D, Josh H, Loren and Joanna. 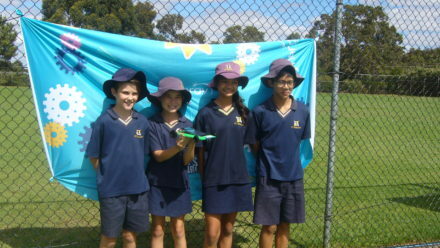 To view photos of the Synergy Solar Car Challenge click the link below.